Derrick Kosinski & Scott Yager are joined by "Ninja" Natalie Duran. For the past few seasons, The Challenge has opened the floodgates and welcomed newcomers from shows like Big Brother, Ex on the Beach, Geordie Shore, Vanderpump Rules & Bad Girls Club. War of the Worlds has gone a step further, inviting rookies from an even wider and more international pool of applicants. Among them is Ninja Natalie (@Ninja_Natalie), the lone representative from the popular series ... See More domestically, American Ninja Warrior, a show that might present the best possible preparation for the unique competitions that one endures on The Challenge. Natalie joins Derrick (@DerrickMTV) and Scott (@SHOTOFYAGER) to talk about her casting story, how she became a "Ninja", how she feels about people contesting her inclusion in The Challenge, why she chose Paulie as a partner, what War of the Worlds has been so far, what last week's tribunal was like, if she could tell what was going on it that mud challenge, where you can find her on the weekends and MUCH MORE! We can't wait to talk to ALL the rookies from War of the Worlds but we were particularly excited to speak to Natalie, who as you'll hear, as a really interesting backstory and is way more than just a Ninja. 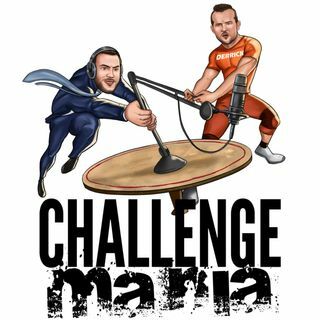 For MORE Challenge Mania, including weekly recap and commentary podcasts immediately following each episode of War of the Worlds, head to www.Patreon.com/ChallengeMania and consider becoming a Maniac-level patron.